We are the UK distributor for AXION event tents, the biggest European producer of sealed inflatable event tents and furniture. 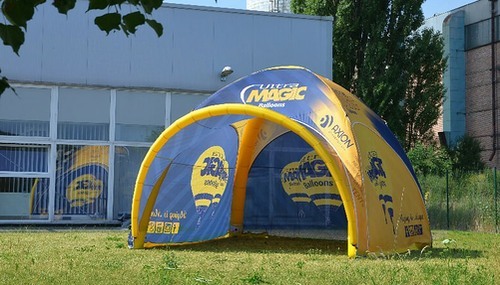 Axion high quality inflatable event tents are extremely popular with exhibitors at all kinds of promotional events and the chances are that you will have already seen an Axion event tent and probably also been in one too! 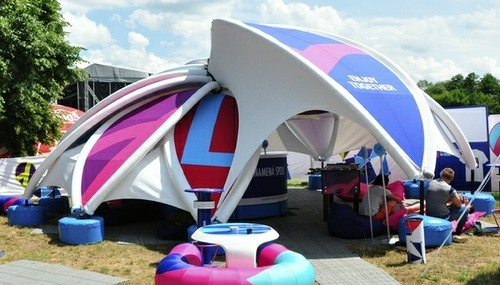 AXION inflatable event tents are produced in a variety of shapes and sizes providing from 10 to 125 m2 of floor area. They have the advantages of being quickly inflated – typically in less than 10 minutes, and not requiring a continuous power supply for the fan. Once inflated the structure is sealed by the non-return valve and screw-on cap, so there is no need for a continuously running and possibly noisy fan. 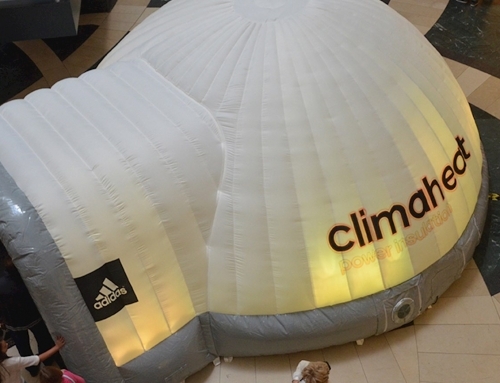 Ideally suited to outdoor trade shows, sports and promotional events, AXION inflatable tents are available in a wide range of colours and can be dye sublimation printed to create the corporate brand impact you need for an impressive event space. 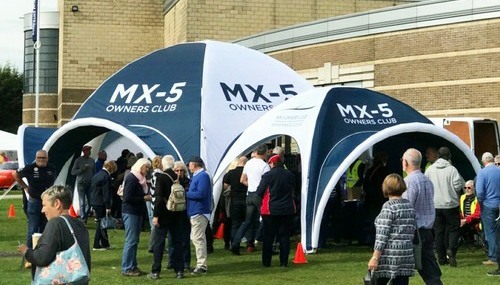 Stand out from the crowd, create a lasting and positive impression, choose an inflatable event tent from the market leader – AXION event tents. 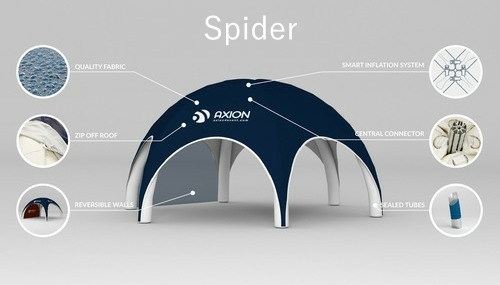 Only from Inflatable Structures Ltd, the UK sole distributer of AXION products. Opting for an AXION tent from the range of designs available including the Lite, Square, Tripod, Hexa, Cube, Spider or Flower allows you to choose from 7 designs that provide a total of 22 different sizes ranging from 11m2 to 125m2. 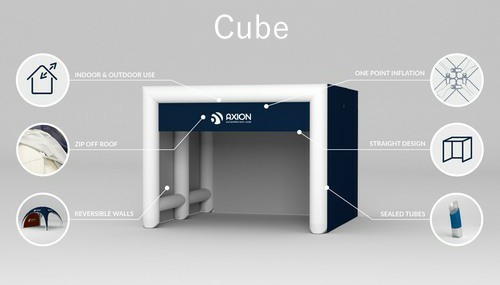 Each model and size of the AXION product line can be interconnected using connection tunnels to create a larger or multi room event space. 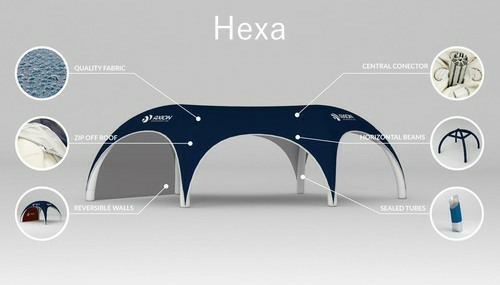 Open sides can be enclosed with different types of side walls or covered with inflatable visors providing extra shelter and branding space. There are also plenty of universal accessories, such as top and base LED lights, flooring, windows and doors, and inflation pumps and ballast bags. 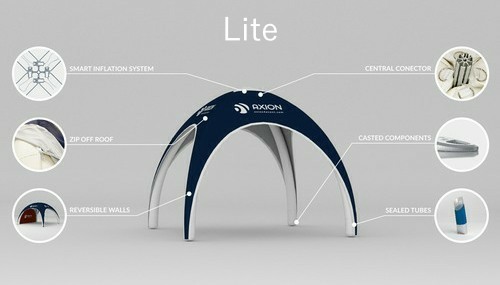 All our AXION Tents can be fully branded. 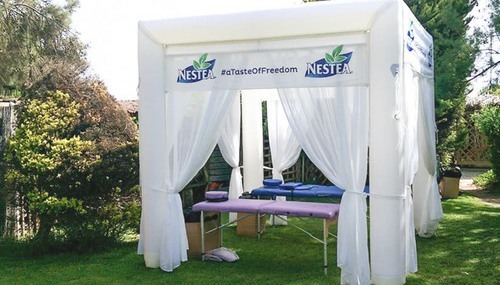 For full customisation, we offer branding services that allow your logo, brand or event name to be displayed on your inflatable event tent using dye sublimation technology.Handling the production process ourselves instead of outsourcing the task means all design elements are effortlessly taken care of with complete attention to detail. 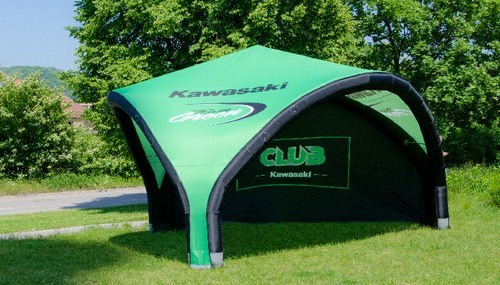 Please note that the standard delivery time for custom printed tents is approximately 4 to 5 weeks. 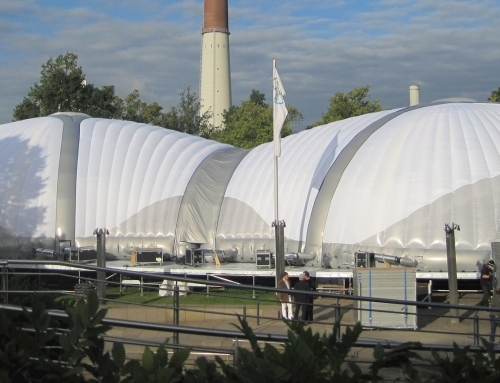 For added convenience, AXION event tents boast sealed construction to eliminate the need for a continuously running electric fan and mains connection, this allows them to be simply inflated once by a hand or electric pump, which is supplied with the event tent. In May 2013, we conducted a series of wind tests to prove the resistance of our AXION tents with outstanding results. All models showed excellent wind resistance: the AXION Shell withstood winds up to 50 km/h, the AXION Hexa 44 and 55, Lite 44 and 55 and Square 77 around 85 km/h, Square 66 around 90 km/h and Square 44 and 55 is 100 km/h. Consider getting more than one roof for your inflatable event tent – the simple zip-off system will allow you to change your roof at any time. Changeable pagoda roofs are also available from our range. We use high quality Polytex, a polyester fabric made in Europe which has been certified in accordance with European norm EN 13501-1. 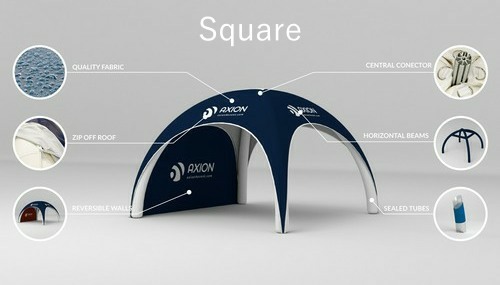 A less costly standard version of AXION tent is also available if a FR certificate isn’t required. 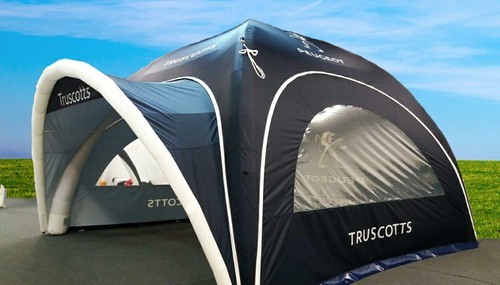 Thanks to detachable horizontal beams, our range of AXION tents are one of the safest inflatable lines on the market. 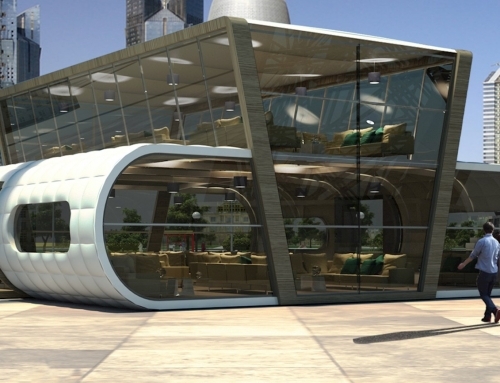 Tested for up to 100 km/h and certified for 60 km/h, they can withstand the most extreme weather conditions. 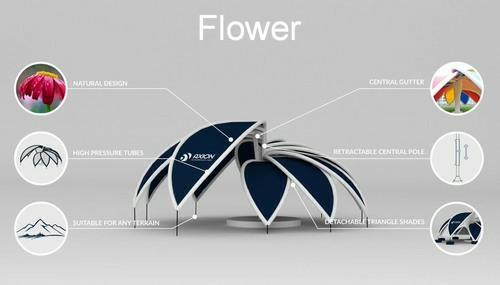 The flexible structure will keep occupants of the tent safe during strong winds, bending and twisting with the wind and then back to its original shape. Deciding whether to order artwork to face the inside or outside of the tent can be a bit of a dilemma. 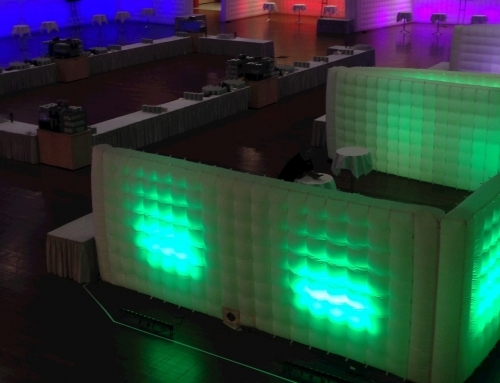 This isn’t a problem with our inflatable event tents, as all walls are reversible. You can also get double walls with an opaque layer inside, mosquito walls, panorama walls, section walls and more. A reserve bladder and repair kit are available for most AXION tents in case of product damage. 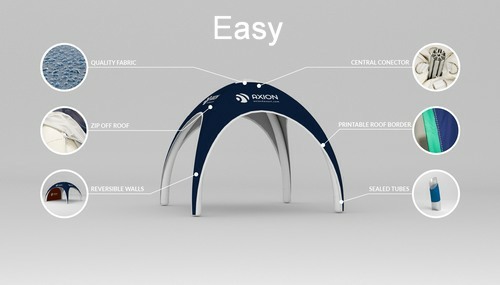 These event tents have been designed with a zip-off roof and a central tube connector to allow you to change the inflatable tube onsite within minutes should your product need repair, eliminating the need to send it back to the factory for service. For more information please visit our Axion UK website by clicking here. The highly customisable nature of all AXION inflatable event tents doesn’t stop at the wide selection of designs, shapes and sizes available. 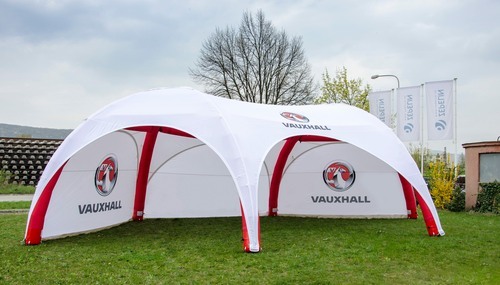 All AXION event tents can be supplied in a wide variety of colours, or they can be dye sublimation printed to match any colour that you specify. Your logo, strap line and any message can be printed on any, or all of the walls, the roof and even the visor of your event tent. Let your imagination run wild and create a stunning presence with an AXION event tent – only available though Inflatable Structures Ltd. Call us to answer any questions that you may have and get a no obligation quotation. Call or email us to discuss your event tent requirements, send us your artwork files and we will send you a 3D render of your event tent along with a quotation. LED lighting systems can have a transformative effect on the inside of your event tent, giving your guests a spectacle to remember. 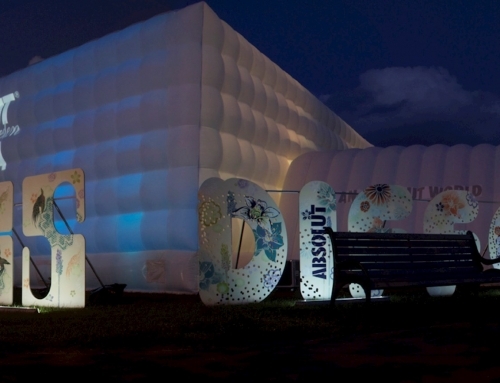 As an optional extra, we can provide internal LED lighting systems on all AXION inflatable event tents. All AXION event tents can be supplied with either a standard size transparent window, or a wide panoramic window in any wall. 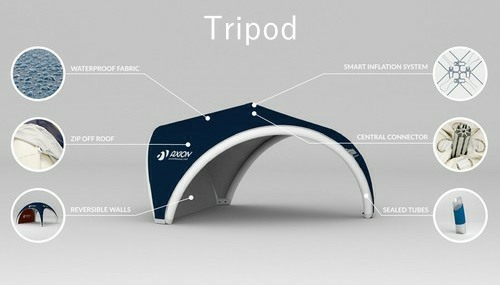 A zipped in door can also be provided in any wall that you specify, or the tent can be left open at the front.